Have you ever imagined yourself diving in a shipwreck and finding a treasure? 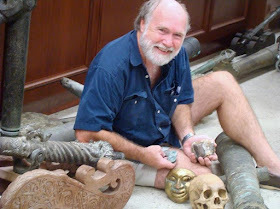 Well, Dr. E. Lee Spence, a pioneer in underwater archaeology since the early 1970s, has located and brought to the surface sunken treasures, with a net value of millions of dollars. 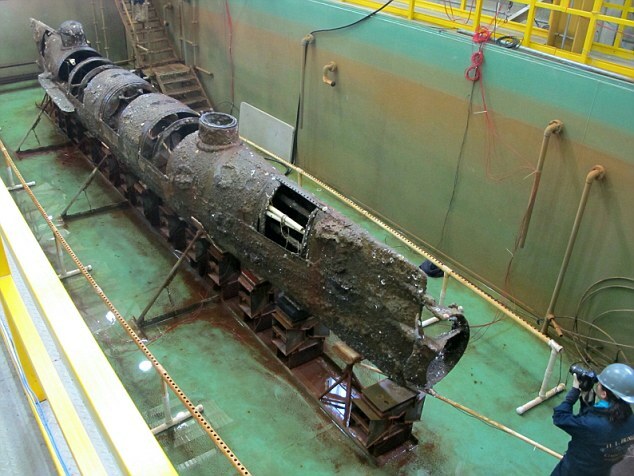 Making a childhood dream come true, Dr. Spence holds a unique record: he is credited as the person who found the first combat submarine to sink a warship. The H. L. Hunley was a submarine of the Confederate States of America and although the Hunley was not completely submerged while scoring a hit on a Union warship, following her successful attack, she was lost with all hands before she could return to base. 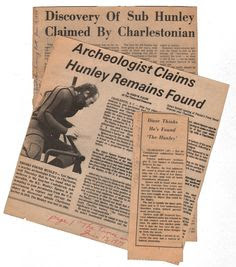 Spence first reported the discovery of the Civil War submarine Hunley in 1970, mapped and reported its location to numerous government agencies. 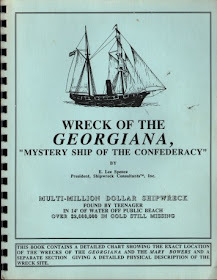 His most important discoveries apart from the Hunley include the Confederate Cruiser Georgiana and the identity of the real Rhett Butler (of “Gone with the Wind” fame). 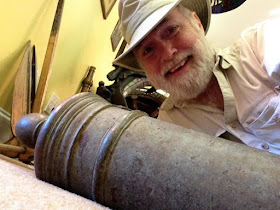 He is also a published editor and author of non-fiction reference books; a magazine editor (Diving World, Atlantic Coastal Diver, Treasure, Treasure Diver, and Treasure Quest), and magazine publisher (ShipWrecks, Wreck Diver); and a published photographer. His work and studies have been funded by such institutions as the Savannah Ships of the Sea Museum; the College of Charleston, the South Carolina Committee for the Humanities; the National Endowment for the Humanities and National Geographic. 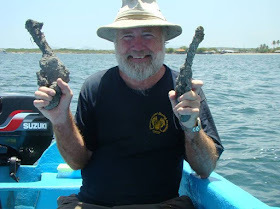 In 1991 and 1992, Spence served as Chief of Underwater Archeology for San Andres y Providencia, a 40,000 square-mile Colombian owned archipelago in the western Caribbean. He has worked on the wrecks of Spanish galleons, pirate ships, Great Lakes freighters, modern luxury liners (cruise ships), Civil War blockade runners and submarines. On September 13, 1976, the National Park Service submitted Sea Research Society’s (Spence’s) location for H.L. Hunley for inclusion on the National Register of Historic Places. Spence’s location for Hunley became a matter of public record when H.L. Hunley’s placement on that list was officially approved on December 29, 1978. We got in touch with Dr. Spence and asked him some questions. When did you start looking for shipwrecks? I started dreaming of shipwrecks by age 5, and found my first wrecks the year I was 12 (1959-1960). I was inspired by stories told by my father and later by books like “Treasure Island” by Robert Lewis Stephenson and “Le Monde du Silence” by Jacques Yves Cousteau. Which do you consider to be your most important find and why? My most important find was the wreck of the Confederate submarine Hunley, which was the first submarine in history to actually sink an enemy ship.It has been described by government officials as “the most important (underwater) archaeological discovery of the 20th Century.” It sank in 1864. I found it in 1972 and it was raised in 2000. It is now on public display. Which is the most precious item you ever salvaged? That is hard to say as I have found gold coins, chains, rings and jewels; and even though some have great value it really is the history behind them that is precious to me. Shipwrecks are in a sense just like time capsules; how important is it to ensure that the wreck is not damaged during your search and do you work with archaeologists as well? That is a nice myth, but unfortunately most shipwrecks are not like time capsules.Most of the wrecks are in shallow water due to striking a sand bar or reef. The ship is then broken up by the pounding seas and its cargo scattered, sometimes for many miles. In warm waters the wooden parts of the ships are typically eaten by sea worms. The iron rusts to the point where it is often impossible to save. The gold is not damaged by the water but it can be badly scratched by the sand. Silver becomes sulfided and is slowly destroyed by electrolytic action. Wrecks are further damaged by fishing trawls, dredging, pipelines, etc. Storms cause wrecks in shallow water even more damage as they wash away the sand or cover the site with sand. 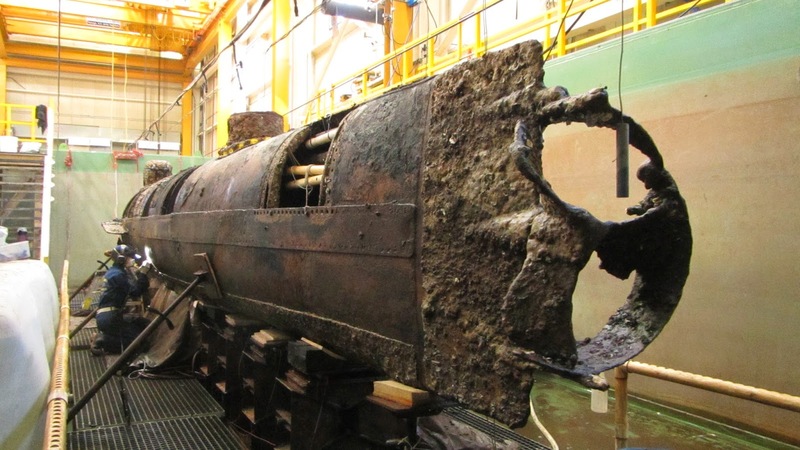 Each time this happens the wreck site is reoxygenated causing even more damage through oxygenation like rust, and encourages further biological damage to any cloth, paper, flesh, wood or bone. Human remains are almost never encountered on shipwrecks. Under archaeological theory all sites are destroyed as they are excavated regardless of whether they are on land or in the water. I don’t agree with that theory. 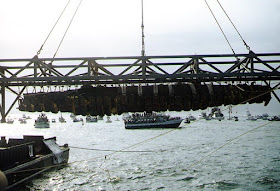 I believe the wrecks are being destroyed by natural causes and our salvage operations are saving parts of them before they are destroyed or lost forever. But that is not to say we are just looking for treasure. We love history and understand that if we go about our work in a scientific manner we will not only learn more, we will find more. Besides being a diver, I am both an archaeologist and historian and we usually have other archaeologists, historians and scientific divers working with us. We use site appropriate archaeological protocols to gather and preserve as much information as possible. Unfortunately, some of the countries we work with don’t want us to bring up all of the wood, iron or pottery because of the costs to them of preserving and storing their share. They only want enough for display purposes. However, as might be expected, they want their full share of any treasure. What’s the oldest and newest item you ever salvaged? The oldest items I have found underwater were stone and bone tools dating from over 10,000 years ago.The newest were two gold chains on the wreck of a small plane that crashed in shallow water during some smuggling operation. I wear one of the chains, my wife the other. Describe the excitement when you locate a new wreck and possibly a treasure. 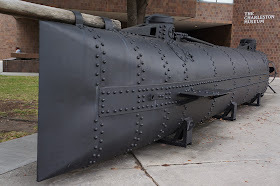 Even though the Hunley was valued at over $12,000,000 I donated my rights to it so it could be raised and displayed. It was unusual not only in its unique history but in the fact that it was intact and was a true time capsule. 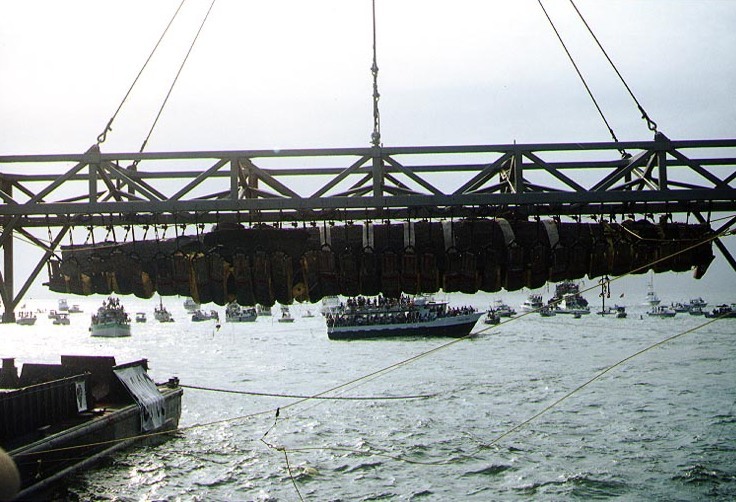 Did you ever find a wreck and treasure of special historic significance? Which one(s)? I have found hundreds of shipwrecks but only a few have had real historical importance or archaeological value. The first truly important wreck I found was that of the steamer Georgiana, which was described in contemporary accounts as the most powerful Confederate cruiser ever built. She was sunk 19 March 1863 while on her maiden voyage, while attempting to run past the Federal blockade off Charleston, South Carolina. I found her exactly 132 years later. She was carrying 400 tons of munitions, medicines and merchandise as well as considerable gold. My share of the recovery would be valued at over $20,000,000 today. Have you located any WW2 wrecks, or are you solely focused on treasure wrecks? I have researched wrecks of all time periods, and have extensive files on World War One and World War Two shipwrecks. I have dived on perhaps two dozen of them. What would your message be to fans of your work and wannabe treasure hunters? Don’t take up shipwreck exploration and salvage unless you are passionate about both history and archaeology as it is one of the most difficult jobs you will ever undertake and the real reward is in the adventure of researching, diving and finding the wrecks. The monetary rewards can be great but they usually come at great sacrifice. I studied five languages, history, archaeology, anthropology, chemistry, physics, higher mathematics, cartography and engineering in college and have used it all. Knowledge of welding, compressors, gas and Diesel engines is also useful. Learn how to dive, captain a boat and use sonar and magnetometers. Become an expert who can get a variety of jobs done.